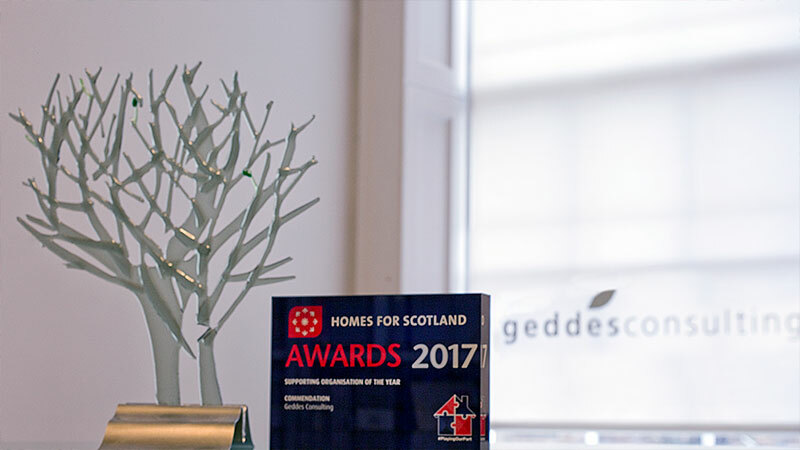 Since its formation in 2007, Geddes Consulting now is recognised as one of Scotland’s leading development consultancies. Geddes Consulting has been at the forefront in planning and development in Scotland, formulating new products for our clients to deliver sustainable economic growth. We have built up knowledge and understanding of all local authorities across the central belt and wider Scotland. Our multidisciplinary team has extensive experience in a wide range of sectors, allowing us to engage in an evidence led, holistic approach, as well as provide specialist expertise to meet our client’s needs. We work closely with our clients at all stages of the development process, providing value added advice to ensure proposals comply with Scottish Government’s sustainability, place making and design requirements whilst maximising development value. Our track record, as illustrated in our projects, is testament to our clients’ successes.